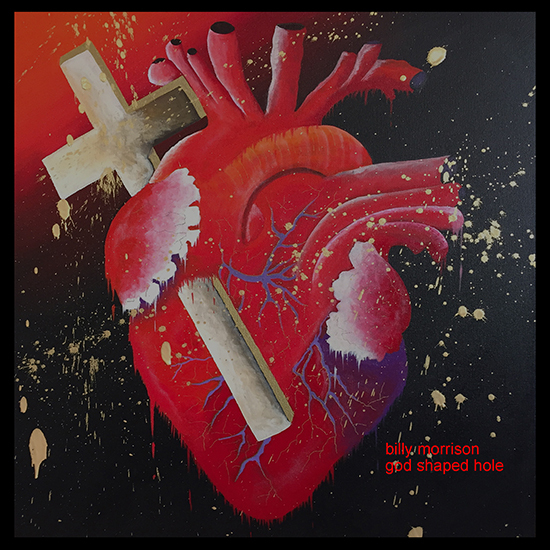 It’s time to spread a little Holiday Cheer, so JUST for the Holidays, I am discounting some items and offering a “Buy One, Get One Half Off” additional discount on the God Shaped Hole art pack. The details of the discounts are below – if you choose to purchase anything, please follow the instructions and once all the tee shirt sizes are gone, I will not be printing any more – what you see is what you get!! GOD SHAPED HOLE ART PACK: – for a limited time, the Art Pack will be available for $100 from Big Cartel – CLICK HERE TO ACCESS THE BIG CARTEL STORE. – and if you want to get a second pack tor your friend as a Holiday gift, we can do an extra discount of “Buy One, Get One Half Off” – for this offer, email me directly at info@billymorrisonart.com. The Art Pack comprises of a physical signed and numbered limited edition CD of my latest solo album. These are the only CD’s available and feature my mate Ozzy Osbourne singing on a brand new track that we wrote and recorded together. There is also a fine art print of the painting I did for the cover of the album, along with a set of guitar picks, handwritten lyrics and a signed photograph. The extra “Buy One – Get One Half Price” discount is ONLY available directly from me and is not listed in the Big Cartel store. 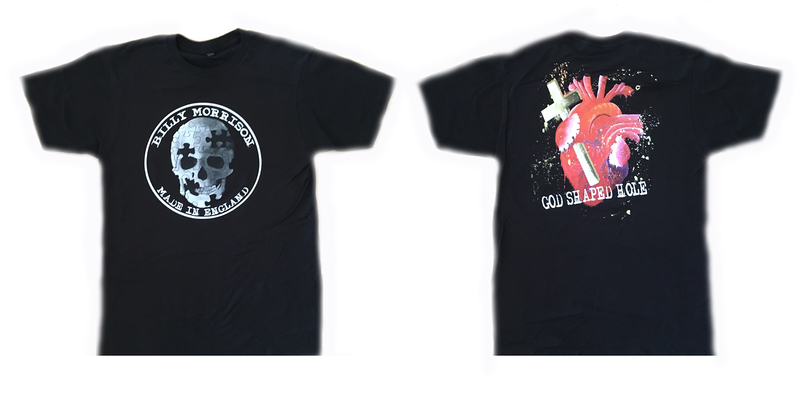 GOD SHAPED HOLE TEE SHIRT: – these are the tee shirts from the 2015 European Tour and the sizes are VERY limited – they are $30 each. There are ONLY very few standard SMALL and MEDIUM tees left (NO large and NO XL) and the Girls Cut is only available in SMALL – PLEASE NOTE that the Girls cut tees are very small – almost a kids size – this is all I have left in this design. Tees available from BIG CARTEL – CLICK HERE TO ACCESS THE BIG CARTEL STORE. GRENADE TEE SHIRT: – the remaining sizes left in this tee shirt are on sale at $20 each and again, I ONLY have regular SMALL and regular XL left – there are no other sizes in this tee. These tees are available at BIG CARTEL – CLICK HERE TO ACCESS THE BIG CARTEL STORE.